Follow a path away from home, away from soul’s shelter. The footpath challenges every step. Reaching God’s ears, touching His heart. A prayer for forgiveness, an offering of grace. Reasoning returns to the senses. Love and need flood the body’s core. Life fills the inner being. Until running in the direction of home. Awaits the return back home. The Lord watches the wanderer. He understands the one who waits. He loves both parent and child. His humanity bore agony and grief. Yet wrapped in divinity, pain He defeated. Through prayer’s power, He healed. Gracious mercy poured into lost people. Run to Him in your waiting. Kneel before Him with humility. Receive love and give thanks in your sadness. Will gladden your heart and comfort your soul. Thank you, Lord Jesus, for the washing of your sacrificial blood. Thank you, Heavenly Father, for the clean dressing of Jesus' robe of righteousness. Thank you, Holy Spirit, for the power of your presence in everyday living. In Jesus' holy name, AMEN. Confused people crowded into the theater in Ephesus (Acts 19). Loud shouts lured them inside and most had no understanding why. They simply followed others into a den of disorder. Imagine the mayhem in a building smoldering with mob mentality. And God answers through Isaiah declaring, “all of us like sheep have gone astray, turning to our own way.” We wander like lost sheep, confused and misled. We need a loving Shepherd to guide us onto the right path. The Bible tells us we have a Shepherd—it’s a favored attribute of God. While Jesus lived on earth, He demonstrated the characteristics of a merciful and gracious shepherd. 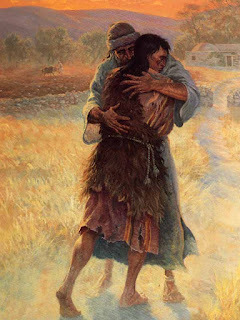 He even told parables about lost sheep and a devoted shepherd, a prodigal son and a loving father—these stories He used to illustrate our human nature and His divine character. If God is so good and loving to us, then why don’t we follow Him? Answers exist in the comparison of humans and sheep. As you read the following description of sheep and their actions, consider the similarities we humans share with sheep. Sheep instinctively react to situations. Sheep flock together because they’re social animals. Sheep are prey instead of predators and flee instead of fight. They are defenseless and panic because of fear. Sheep have keep senses, making them aware of predators. Sheep have a high tolerance for pain, preventing vulnerability to predators. Sheep run from danger, and may congregate in large numbers for protection. Sheep need a shepherd because they are directionless and wander, unless in a pack. Sheep wander when food is scarce, well-fed sheep don’t wander. Sheep follow the hand that feeds them. Sheep get restless and are tormented by bugs; if bugs go undetected, they multiply and cause blindness. Sheep are helpless if they fall down; they need a shepherd’s help. When a sheep is cast down, it’s possibly due to a a heavy coat needing to be sheared. Everything a sheep comes in contact with (dirt, filth, burrs, sticks, bugs, etc.) attaches to the oil, or lanolin, on a sheep’s wool and weighs it down. Even though shearing is hard work for both sheep and shepherd, it frees up the sheep of all the stuff clinging to its fur. Sheep are great followers. They know their master’s voice—they recognize their shepherd by the sound of his voice. Wow! Spiritual depth resides in these facts. No wonder Jesus told a parable about lost sheep. They wander, follow, and fear—so do we. Their fur picks up dirt and junk—our eyes and ears pick up filth if we’re not focused on our Father God. 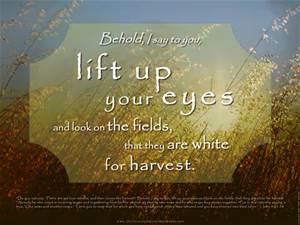 Bugs torment them and cause blindness, if undetected—the garbage we allow into our hearts and minds will blind us to God’s Truth. Shearing away their wool and all the stuff in it cleans and frees them up—allowing God to clean us will free us of the chains that bind. Wow again. We definitely need a Shepherd to guide us. Thankfully we have one and His name is Jesus Christ. 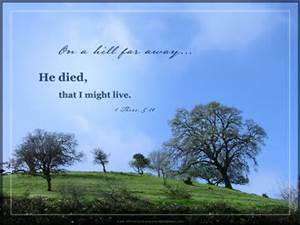 He offered His life for us. He’s given His Word to us. When we read His Word and meditate on its meaning for us, He fills us with His Holy Spirit. When we drop to our knees and cry out to Him, He hears and answers us. When we offer thanksgiving and praise in the midst of storms and fear, He blesses us with His strength and peace. In other words, when we are well-fed on the Word of our Heavenly Father, we will not wander away from Him. The only hunger we’ll experience is the desire for more of Him. Sound a little like sheep? We are like sheep gone astray, but like sheep we know our Shepherd’s voice. He created us, He loves us, and He calls out to us. Are we listening so as to follow Him? Or are we wandering away because of distractions we’ve allowed into our lives? It’s our choice; He gave us free will. What will we choose? Lord God, You are my Savior and Shepherd. You bought me with a price, the price of your life’s blood poured out in loving sacrifice. If you would die for me, how can I doubt your Presence with me everyday? You said You are Immanuel, God with us. You are a God of promise. You guarantee Your Word in all aspects of my life. You are the God of covenant and commitment. Then why do I doubt? Why do I look anywhere else but to You? Because I’m easily led when excitement walks by. Because I follow the latest fads when everyone is doing it. Because I listen to the sounds of satisfaction when someone pricks my ears with my own desires, giving the loudest voice my attention. Because I don’t understand commitment, a long-lasting oath. Frequently I choose the easy way out. I don’t want to work for it. I just want to do what I want to do. I won’t hurt anyone. Why do I need to follow any rules? And suddenly my selfish desires have taken me where I didn’t think I would go. I’m walking in a direction unknown to me. What am I doing? 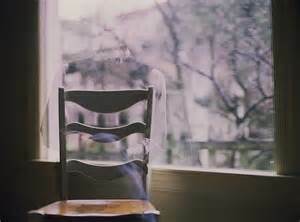 I’m lost and alone. Help me, God! Come quickly, Lord. I need You. In Jesus’ name, AMEN! Maybe the sun shone brightly in Ephesus, but cloudiness definitely muddled the minds of its citizens. Paul’s declaration about man-made gods not being gods rattled some Ephesians. Out in the streets, sounds of selfishness and greed thundered. Fanatical shouting attracted a crowd of confused people. And a war in the heavenlies raged. This chaotic scene occurred during the apostle Paul’s third missionary journey to spread the gospel. After Paul arrived in Ephesus, God performed amazing miracles through him which added to the number of believers of the Way (name for belief in Jesus as the way to human flourishing). As faith in Jesus Christ increased, evil accusations against the faith escalated. When Paul spoke truth, physical and spiritual battles intensified. Fear prompted angry shouts after Paul proclaimed one God, the Lord Jesus Christ. The Way disrupted a way of life. The Way broke the prospect of prosperity. The business of fashioning silver shrines for the worship of false gods filled the pockets of many craftsmen with mass finances. Idol worship provided a lucrative business for the artisans of Ephesus. What if the world turned away from idol worship and the goddess Artemis was dethroned? What if the vocation of producing man-made shrines collapsed altogether? Losing money and appearing disreputable incensed the silversmiths. Growing rage among the business owners lured curious people to join their unrest. Confusion infused the city and a mob pressed into a theater where rebellious shouts of “Great is Artemis of the Ephesians” lasted two hours. Discontent ran rampant throughout Ephesus while the disciples protected Paul from the hands of enraged individuals. Eventually the city leaders dismissed a quieted crowd and Paul journeyed to more lands with the gospel. Similar battles has been set on repeat for generations. When selfish motives dominate and intensify, misguided wanderers follow the loudest voice. 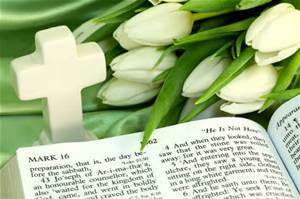 The flourishing Way of life through Jesus our Peace gets muffled in the midst of murkiness and noise. 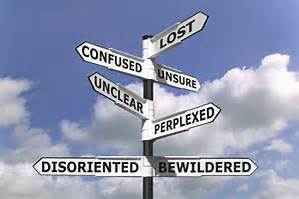 Upheaval and uncertainty guide decisions. God’s Way gets pushed aside as people hunt for a more palatable truth to suit their own desires. You can trace this path all the way back to Adam and Eve. But why? Why be lead astray? Why deviate from God’s good path and follow anyone or anything in the wrong direction? 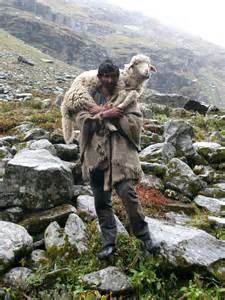 Because we all have wandered away like sheep; each of us has gone his own way (Isaiah 53:6). The nature of our wandering reoccurs throughout Scripture. 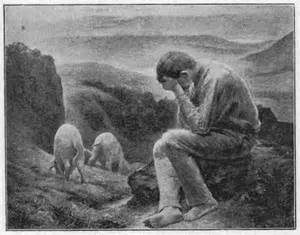 Jesus specifically addresses the issue in several of His parables as He tells about lost sheep and a prodigal son. He even names Himself as the Good Shepherd who lays His life down for us, His sheep. Yes, Jesus compares us to sheep for many reasons. At times we wander aimlessly like sheep without a shepherd. 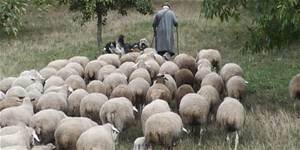 At times we follow the crowd like sheep follow other sheep. At times we allow fear to herd us together in packs like sheep congregate in large numbers for protection. Sound familiar? Have you ever behaved like a sheep? Have the clouds of confusion drawn you to places you really didn’t want to go? The Ephesians did it and so do we. But don’t despair. You have a Shepherd who loves you. He desires to show you the way, away from idols and confusion, to a flourishing life of peace. Wander back here next week with the purpose of discovering the similarities between humans and sheep, shepherds and the Good Shepherd. Hopefully we’ll gain a deeper understanding of ourselves and our Savior who longs to lead us in the path of righteousness to green pastures and quiet waters. In the meantime, move away from the noise and listen for His Voice. It won’t be the loudest one, but it’ll be the most pleasing.